Anyway, it was a great interview to do, and his answers are sublime. If you ever get to spend even 5 minutes with him, do it. You’ll come away feeling loved and special. He has that effect on people. Abe Laboriel, one of the world’s most original and influential bassists, talks to Guitarist about his latest duet project, discovering Hip Hop and uniting the generations in music. In the seemingly fickle environment of the LA session scene, it takes a special musician to stay at the top for more than a year or two. 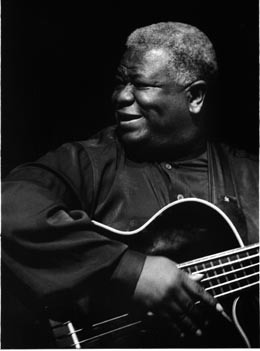 Which makes Abe Laboriel’s story even more amazing. For over 20 years, Abe has been a first call player in La La Land. Starting his LA session career with Henry Mancini, he has worked with the biggest names in almost every style of music – Michael Jackson, Elton John, Stevie Wonder, Larry Carlton and Count Basie to name but a few. And he remains just as busy today. Abe’s more recent focus on small group projects, particularly the Jazz trio and the new duets project suggests a re-acquaintance with the more conversational approach of small group playing. Abe’s bass sound on the album is disarmingly natural, all recorded live with the only processing being a little chorusing on one track – one wonders if his approach has to change when the bass is so exposed? Anyone familiar with Abe’s playing will know that his unique technique combines bass lines with flamenco strums, fingerstyle picked chords, and myriad slapping and popping techniques to produce a really full sound, so the duet album is the perfect place for those advanced technique to come to the front. As well as working on the duet album, Abe is planning another solo album, a follow up to 1995s jazz-funk tour de force ‘Guidum’. “I’ve purchased a new instrument, an 8 string classical guitar, and I’m going to start trying to develop a style that allows me to play bass lines in the Brazilian style – the Brazilians have a 7 string guitar which takes the place of a very active bassline, played in counterpoint to the melody. So I want to develop that style and bring it into the kinds of songs that I write. Mateo’s own influences are a lot of Hip Hop and R ‘n’ B grooves, along with the music that his dad played around the house while he was growing up. Are these more modern urban soul sounds making an impression on the old man? “I’m glad that you mention my sons, as one of my great dreams is to encourage the generations, regardless of how painful it might be, to keep sharing with each other their points of view, because something crucial must not be lost in terms of continuity. “It’s like all the people that we respect though the history of music have had very strong foundations. Then when they start doing new things, that we call Avant Garde, it is not self indulgent. That’s what I hope happens to the generations. Photo at the top from SoftBass‘ photos on Flickr. I met Abe a few years ago at a music convention where he was playing with both Don Moen and Ron Kenoly (and perhaps Alvin Slaughter, I forget). And I said something silly like “You are my hero”. He gave me the biggest hug, and took several minutes from what was surely a very busy day to talk with me and autograph a cd. He was the most genuinely nice guy among a group of people (professional bassists) I have generally found to be nice guys. I’m no where near the caliber of Abe, but I am so much better having listened to him. He is STILL my hero. I’m to go buy some records with Abe on the RIGHT NOW!